I improved this picture of the lace newsboy hat. I used a different technique as far as lace. It is a loose weave. 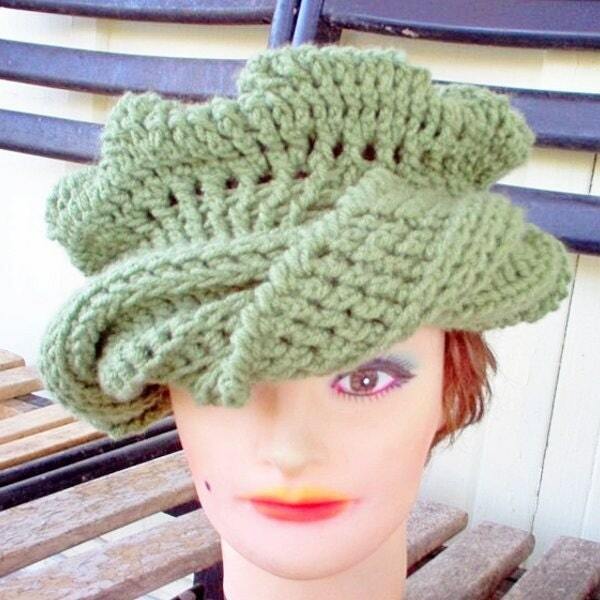 Sage green twisted crochet hat for women acrylic soft yarn beanie cap easy ready fun to wear. Buy yours now! Affordable! 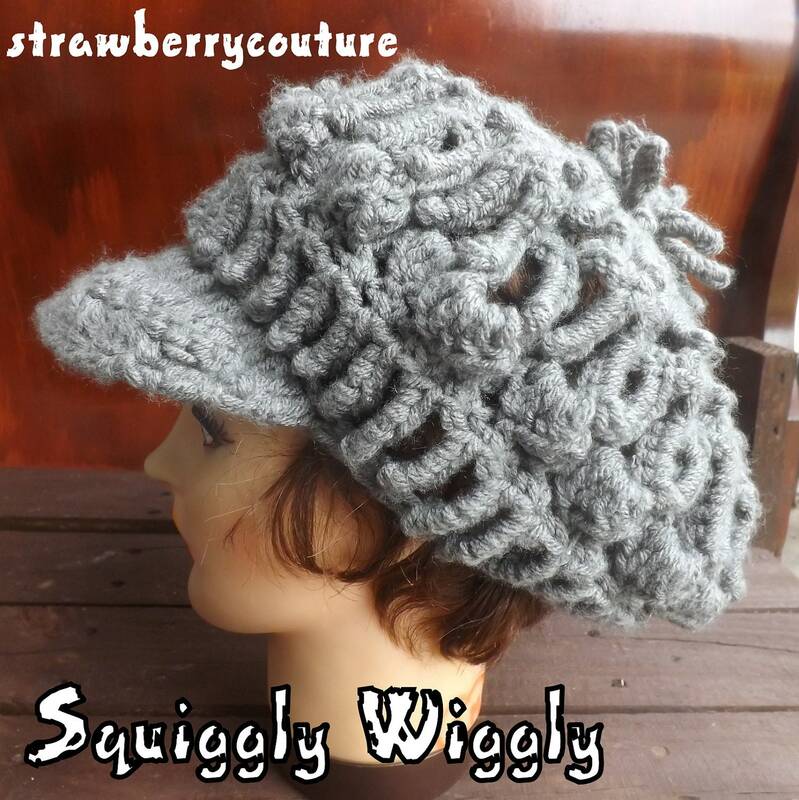 This is a moebius twisted crochet low rise cap hat. A model can easily be created by taking a paper strip and giving it a half-twist, and then joining the ends of the strip together to form a loop. This hat is constructed from 5 half twists from soft sage green acrylic yarn. Fits nicely on head and comforably fits over the ears. Fits heads 21″-23″. The hat is very light in weight. Although it is twisted, it still feels flat on your head. Made in a smoke-free pet-free environment. Machine wash warm and machine dry as usual. 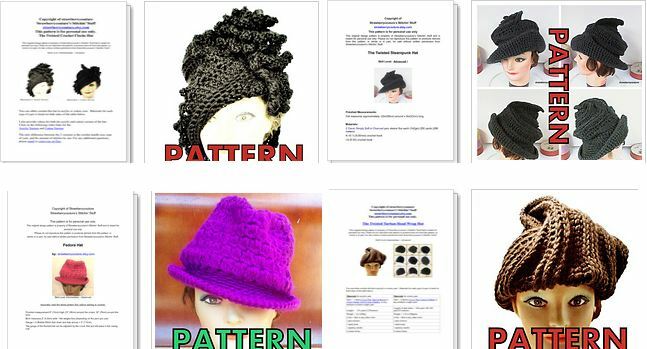 Hat comes out more flexible but easy to reshape back again. Everyone should wear this hat. Not only is it fashionable, but mathematical too. Your children or the nonmathematically inclined can wear a piece of math. Hat can be worn for all ages. Convo me to specify size. Color is customizable. Refund Policy: If you are not satisfied with your purchase, plese let me know within a week of delivery. Own this hat today. You will miss out on how much fun it is to wear for you, your family and friends!